Nursery time – hot air balloon mobile… | Hey Bernice! Yes, it has been absolutely a-g-e-s since my last post… I have a myriad of reasons to explain why, but I won’t bore you with all that. 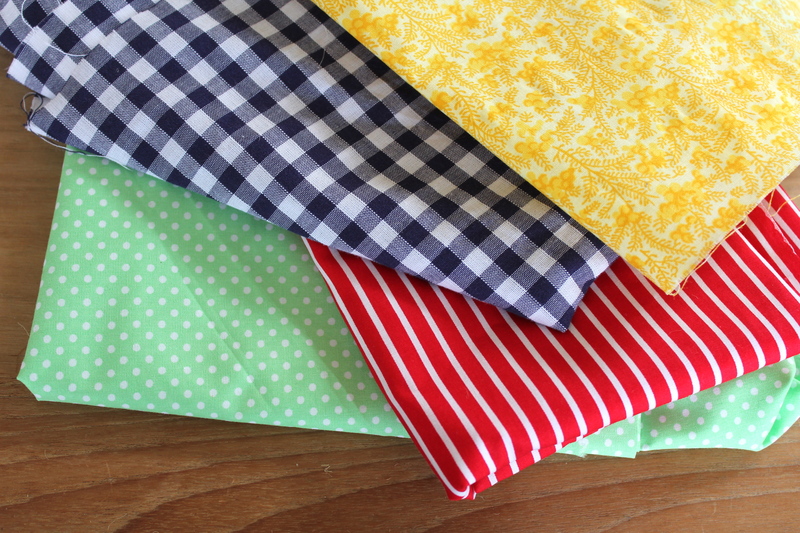 Instead I’m going to launch straight into sharing my recent crafty project from the weekend. A very dear friend of mine is having a baby in about a months time. They are having a boy; knowing that, I offered to make something to help decorate their little man’s nursery. A theme of hot air balloons had already been decided upon. This theme was prompted by the daily sighting of hot air balloons cruising over Melbourne, at dawn, that they would view from their window. 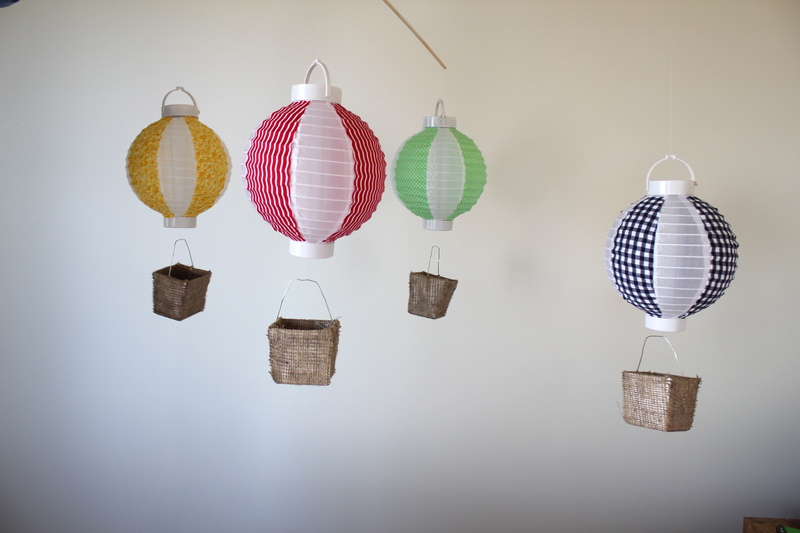 Four paper lanterns or Asian paper light shades… you can choose coloured ones if you prefer…. 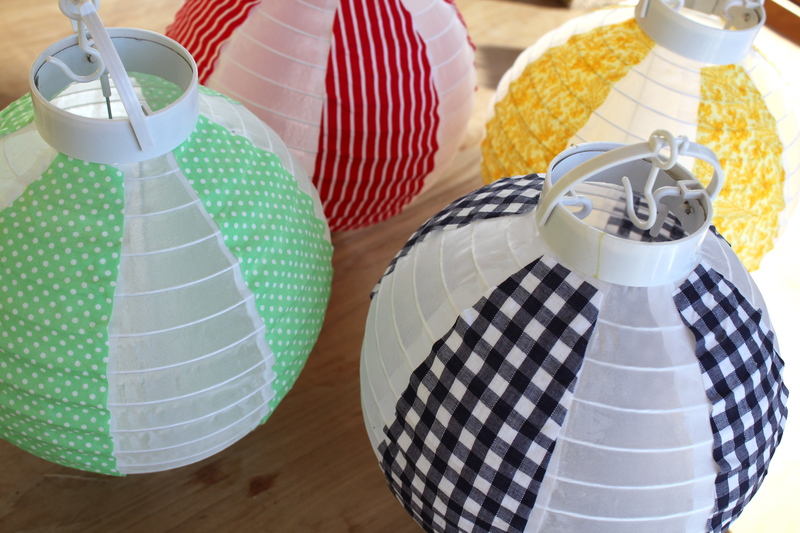 Four different colours of bright material to cover the lanterns…. 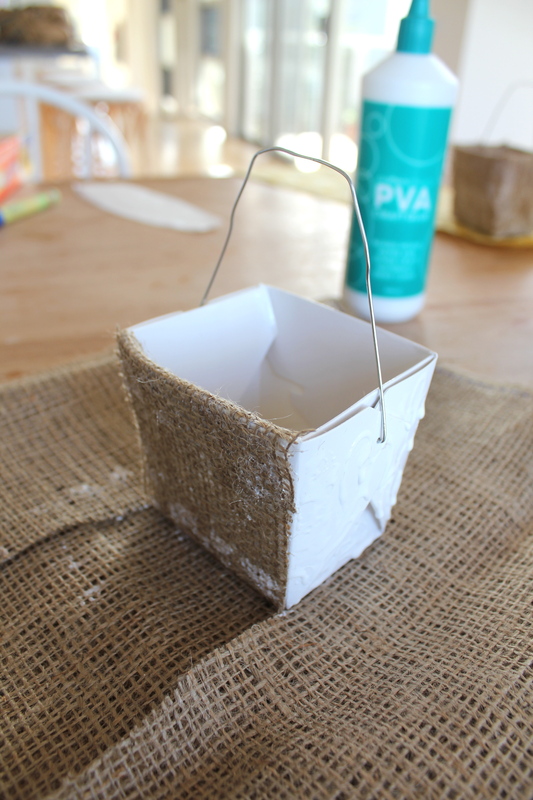 Before using the material, paint the back of it (only the amount you will be using) thinly with craft glue. 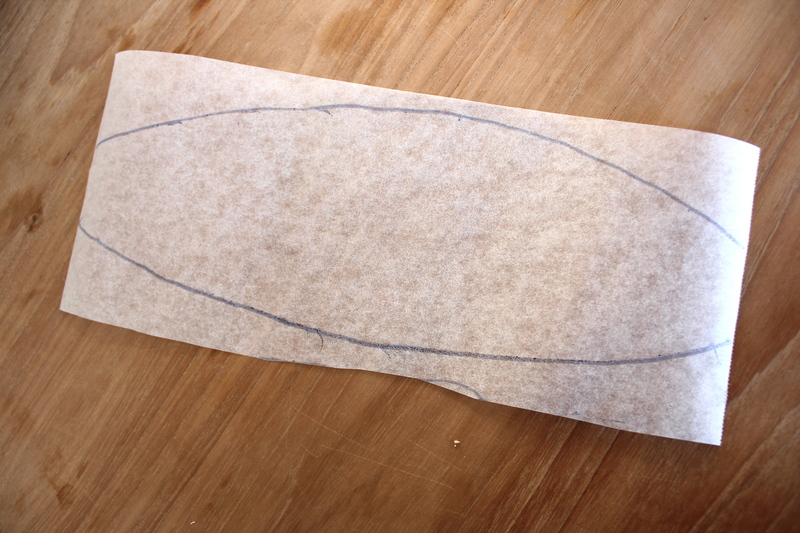 This will stop it from fraying when you cut your stripes and start gluing them. It is best to do this the day before so it has time to dry. 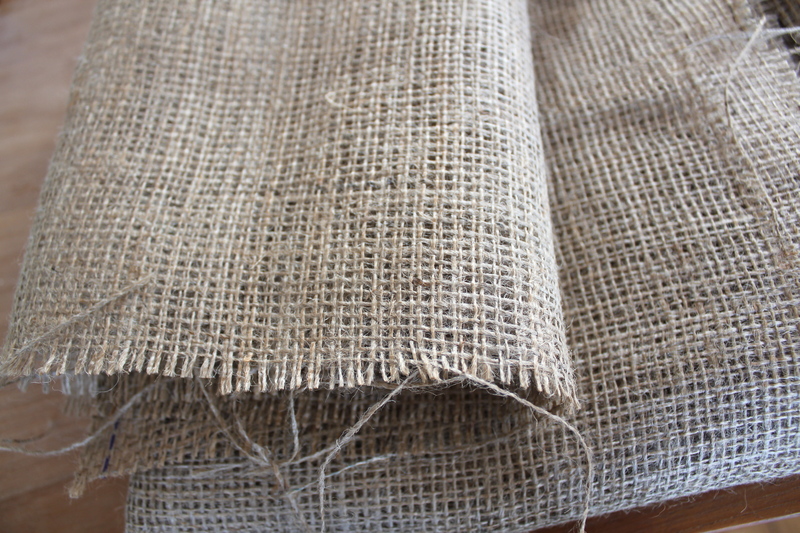 Some Burlap to cover the paper boxes to make the baskets…. OK – Let’s get started…. 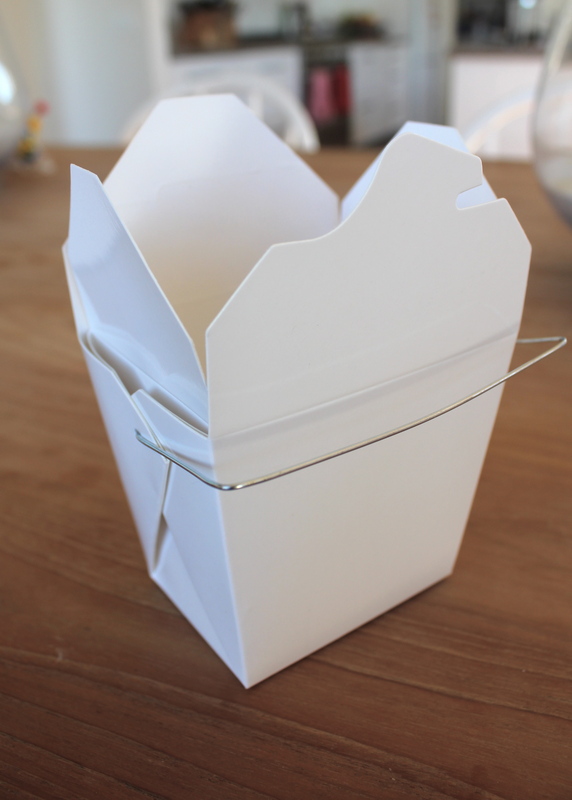 Do this on all sides until completely covered… alternatively you could always paint the boxes, or leave them white! Work out what size you need to make your material stripes so they fit evenly around your lantern, luckily these lanterns were made with sections (see picture above) so I simply traced over one of the sections to create a template. Cut out your material stripes from the material that has dried (you will find it becomes a little stiff from the glue), then glue them onto the lantern. 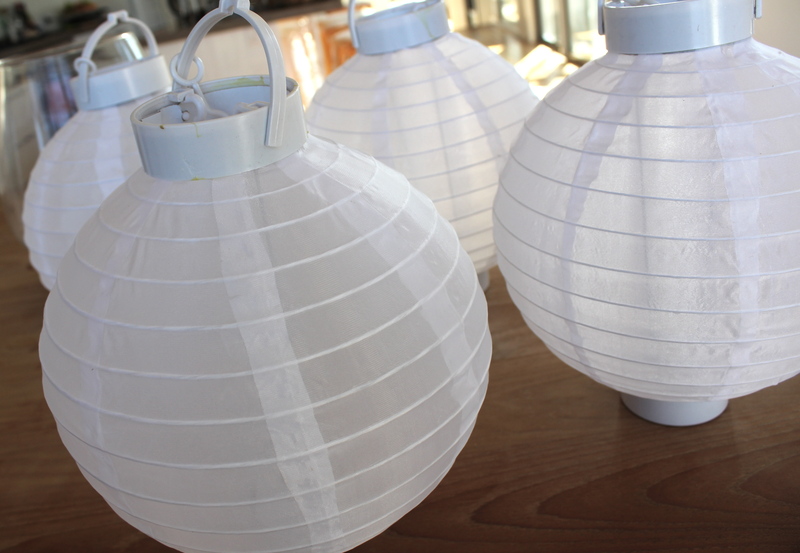 I chose to leave white in between, but you could cover the entire lantern with material. Once everything has dried, attached your baskets to the bottom of each lantern – your attaching technique may be different depending on which lanterns you chose – I used fishing line and tied mine. Creating the mobile I used two pieces of dowel (one hanging from the other with fishing line). With a very fine drill-bit I drilled holes at each end of the dowel, then tied the balloons with fishing line (threaded through the holes). Getting the balance right with the hole in the middle of the dowel can be tricky. 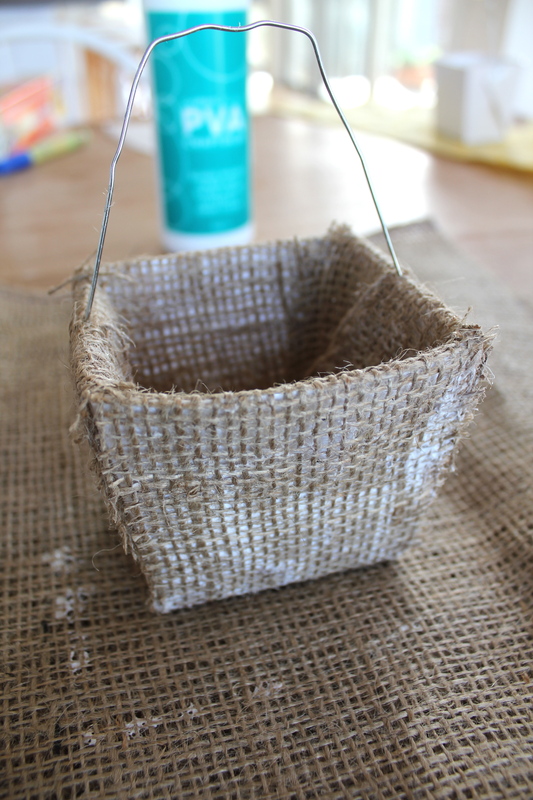 If you find when it is done that they are not hanging straight, glue a small coin into one of the baskets to adjust the weight – this trick worked perfectly for me. 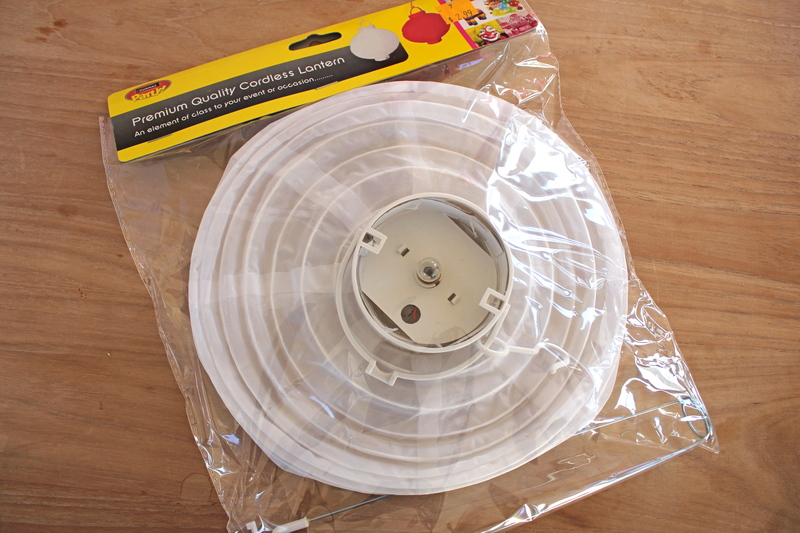 You could also attached the balloons to a large circular ring, or hang them from a string stretching from one side of the room to the other. As I always like to remind myself and others – there are no rules, so be creative!